According to Mayor Malou Lacson and municipal tourism officer Ryan Miranda, Magalang is one of the oldest towns in the province of Pampanga, being established on 30th April, 1605, celebrating its 413th founding anniversary today. 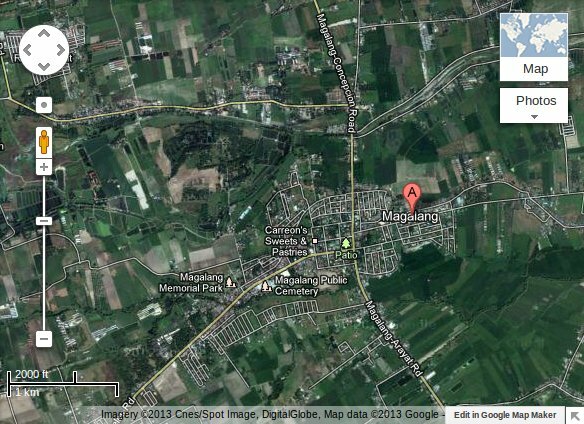 Many people believe that Magalang is only 163 years old, but the actual founding date is 30th April, 1605. Magalang Day is celebrated on 13th of December 13, but this date is commemorating the date it transferred from Concepcion, Tarlac. According to Miranda, "That date is just the transfer date, as Magalang as a town has transferred three times before it settled to its present site. The town was first established in Macapsa, which is situated near Sitio Balitucan in San Ildefonso, according to the tourism official." 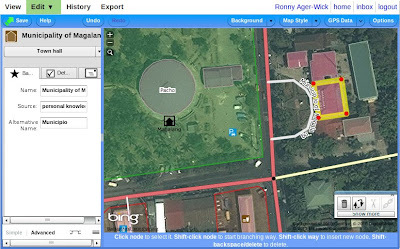 OpenStreetMap is a free (as in speech) map created by a community of mappers. Anyone can join and anyone can contribute. 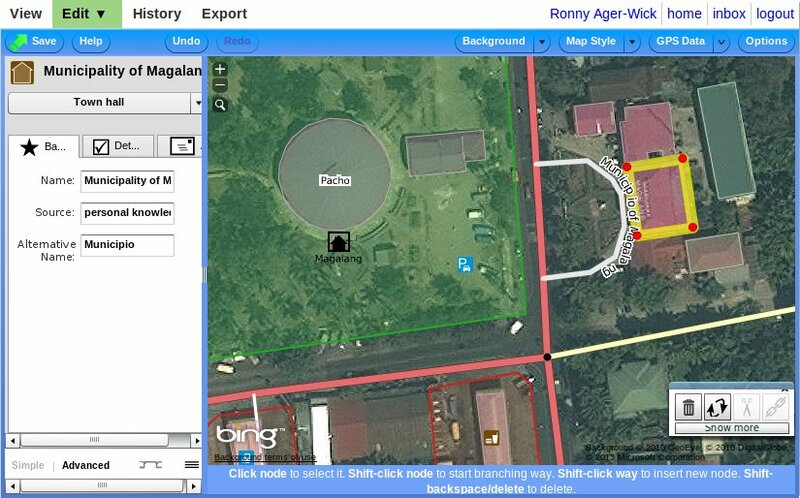 Unlike most other maps, you are allowed to use the maps for anything you want, even commercial purposes. You can even download all the data (coordinates, ways, polygons) used to create the maps and use them to create other maps, routing software, or whatever you can think of. 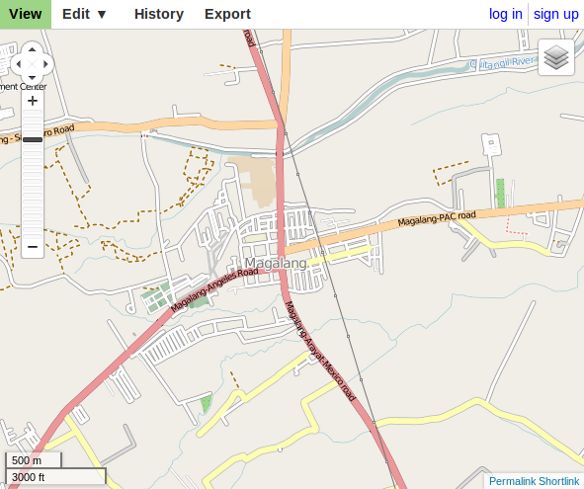 As a result of this freedom, people are more likely to contribute and we can see this from the various maps of Magalang - OpenStreetMap seems to be the most complete one out there. MapQuest is one of many websites that use OpenStreetMap's map data, just presenting it in a different way. 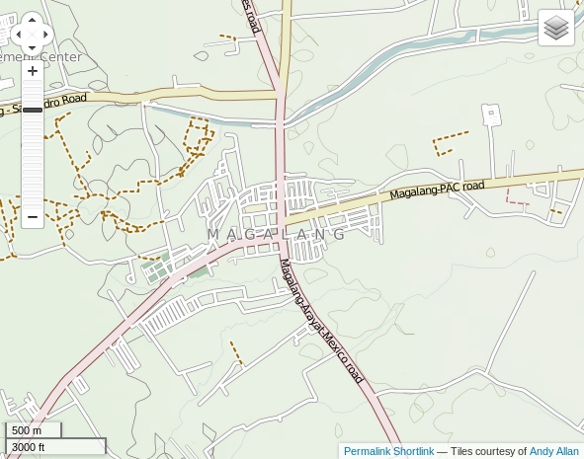 Practically everyone knows about Google Maps, and they are generally very good, but in the case of Magalang, they're not as complete as OpenStreetMap. You can also edit Google Maps through Google MapMaker, but their maps are only free as in beer, which means that even if you help them improve their maps - basically give them data for free, you can only see their generated map tiles (the images of the map), just like everyone else can, but you can't use them commercially, nor can you see or use the data behind the map. 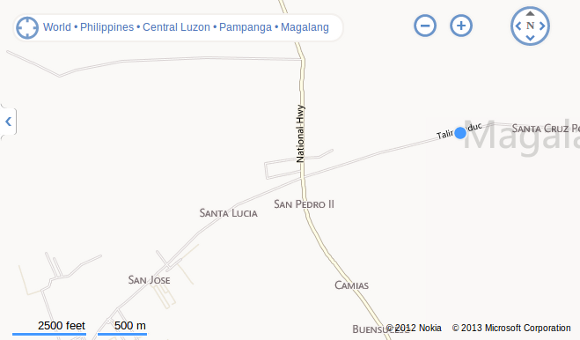 One great thing with Google Maps is the satellite images. Unfortunately, again, you can only look at them for free. You can't use them in your own material. And unlike Google, surprisingly, they actually allow OpenStreetMap mappers to use them to trace roads, buildings, rivers and other features. 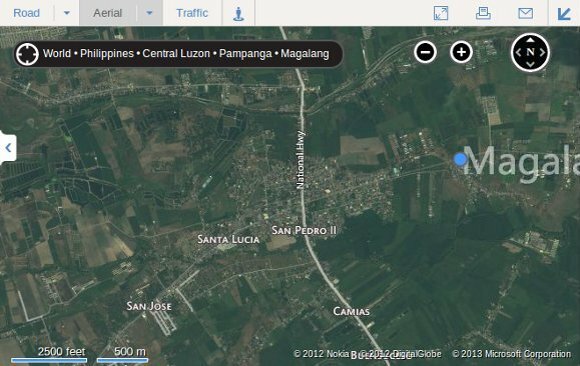 Hence, Bing's aerial map is OpenStreetMap's default image layer when you edit the map, replacing the older and (mostly) less detailed Yahoo maps they used earlier. Obviously, Microsoft don't allow you to edit their map - that's not their style, and this is likely the reason their map is so poor. But it is very kind of them to allow the aerial maps to be used by the open mapping community! 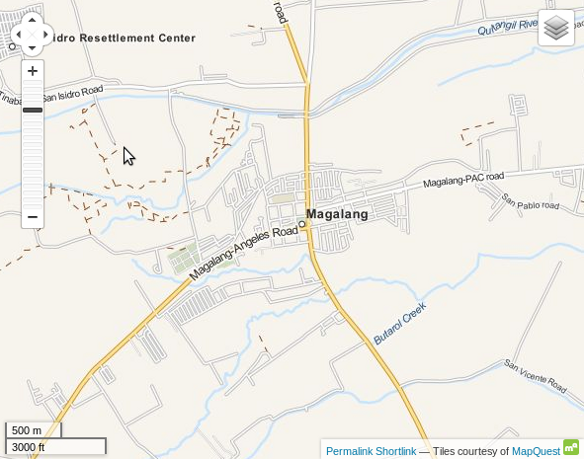 If you know of other online maps of Magalang, please let us know in a comment below. We're always interested in talking to someone who would like to write on magalang.com. Whether you're a journalist, writer, author, artist, poet, blogger, professional or amateur, or simply a concerned citizen (or expat), as long as you have something to say or show, we'd love to hear from you. The most important thing you'll need is integrity and the ability to write politically, religiously and commercially neutral articles. We're interested in covering happenings, news, interesting developments and generally anything that may be of interest to the people of Magalang and magaleños worldwide. We're concerned about the survival of the Kapampángan language, but at the same time see the value in non-kapampangans understanding what's going on in Magalang. Hence, this site will not feature any articles in the language that poses the biggest threat to the future of Kapampangan - namely Tagalog. Articles can be in Kapampangan or English, ideally both. If you would like to have a website with a domain ending in magalang.com, such as www.yourbusiness.magalang.com, that can be arranged. We can host your website or you can host it elsewhere - your choice. You can also have email address(es) like sales@yourbusiness.magalang.com or yourbusiness@magalang.com. This will make you appear much more professional than you would using free services like yahoo or gmail. Individuals from Magalang may also apply. There will be a small charge to cover our costs, but it is not expensive. 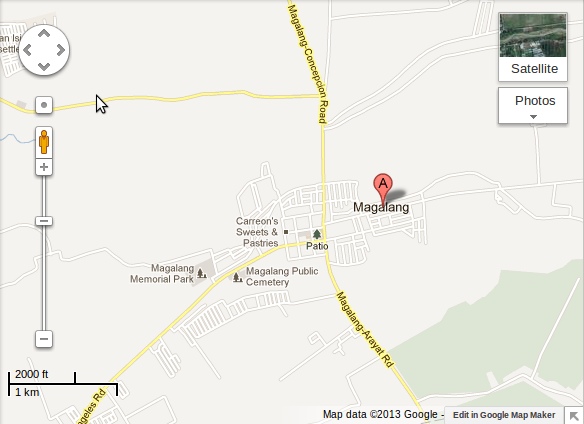 We aim to help people and businesses in Magalang, this is not something we're trying to make money from. There are also cases where we'll consider to give it for free - if your planned website is really beneficial for the people of Magalang. Get in touch if you're interested.